Two units. Simple to use. Model GEE - 738 FM Wireless Intercom. 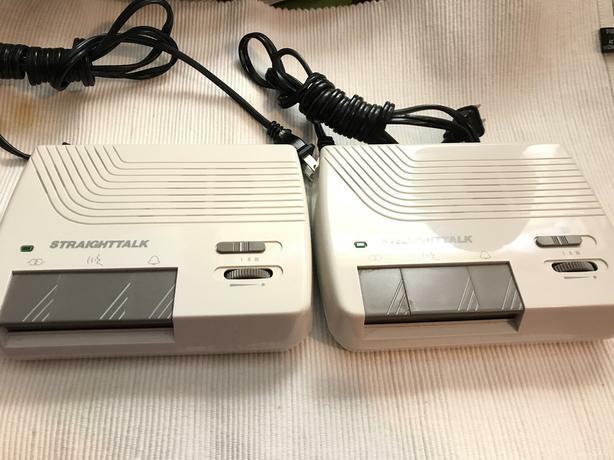 2 way communication within your home. Just plug it in. Table top or hangs on wall. Choose from 3 channels. Convenient buttons to push and talk.